Providing you the best range of acrylic clear sheet and extruded acrylic sheet with effective & timely delivery. TILARA ExtrusionAcrylic Sheet manufactured by modified grade MMA resin which has higher scratch resistance with best impact resistance, weather resistance and thermal resistance. As per it better weather and UV resistance, it’s also perfect for outdoor application. Its transmittance up to 92% of visible light and give best reflection from each of its surface. Our moderate extrusion technology process maintains product quality like transparency, color, accurate thickness and other object. 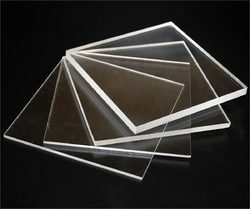 Looking for “Acrylic Transparent Sheets”?